Have you ever wondered what the reclaimed material looks like before we mill it into paneling? Wonder no more! We recently got a semi load of some one-of-a-kind ND grain elevator material that we have been machining into a new, limited run of paneling called WARD. A lot of work goes into the process of turning raw boards into usable material. Read on to see some behind the scenes looks at the process! When the raw grain bin material first arrives, boards are stuck together in stacks by a ton of nails. Before we are able to machine any of the material, our guys have to rip apart the stacks and denail all of the material by hand. Once all of the material has been denailed, the boards are milled to a 5/8" thickness and all sides are straightedged for easy installation. With this specific paneling style, the top surface is left with its natural patina. Other paneling selections we offer are either planed, sanded, or finished in a special way to make them look a certain way. WARD is a great option for anyone looking for wood with a story. It's the classic reclaimed look that has become so popular and there's a limited amount of it available! Call to order this one-of-a-kind WARD paneling style before it's gone! Our most popular gray paneling style has been a hit lately! "Wells" is a hand-weathered graywash on an urban hardwood blend. All of this wood is from city trees that are removed from boulevards for disease or old age. We machine that wood into ready-to-install paneling, flooring, and other millwork for your home at unbeatable prices! Recently we had a wave of photo submissions showcasing this popular wood paneling style. Browse below for inspiration. This material has been used on plenty of accent walls, ceiling details, and other unique applications. Wells features a flat gray stain that allows some warmth from the wood underneath to show through. There is no clear coat so the style is vey matte and natural looking. 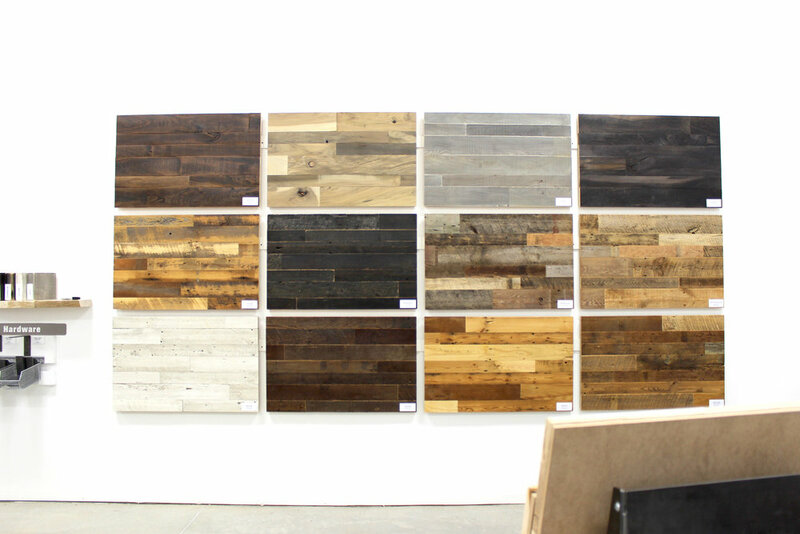 Clearance paneling bundles, one of a kind reclaimed boards and more are all in stock in our Dakota Timber Co: Bismarck showroom. Our Bismarck storefront is officially up and running! We had a fantastic turnout for our Store Preview on Saturday May 5th with so much support from the Bismarck community - we can't wait to see all of the creative ways you'll use our material! Ready to browse and buy reclaimed lumber, slabs, shelves, mantels, and more! The storefront is fully stocked with reclaimed lumber, reclaimed mantels and shelves, live edge slabs, and other wood goods ready to browse and buy. In-stock materials can go home with you immediately and custom orders can be placed for material like paneling, flooring, custom shelves, and custom mantels. Our standard paneling and flooring samples are on display in our Bismarck showroom - all are sold by the square foot and are processed through our Fargo facility. 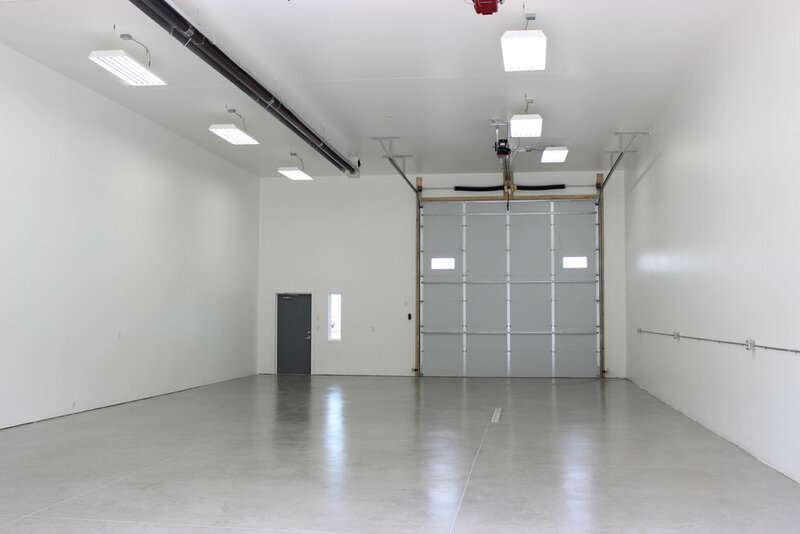 You can find our shop right behind the Sam's Club in Bismarck at 3007 Morrison Ave #4. We'll be open every Thursday + Friday from 10-6pm and on Saturdays from 10-4pm with potential for expanded weekday hours in the future. In stock mantels and shelves are a perfect way to finally finish that fireplace project! We have a great selection of one of a kind pieces in stock and can create something custom for you as well! Sneak Peek Of Our New Bismarck Showroom! We're excited to be expanding our business to Bismarck this May! Our new location will be stocked with ready to buy materials like live edge slabs, mantels, shelves, paneling, and other reclaimed & urban wood- all sourced from the Dakotas and processed in our Fargo facility. Jack will be managing our Bismarck location. You can find him at the shop Thursday - Saturday! Our showroom will be open to the public Thursday-Saturday and we'll keep it stocked with one of a kind pieces ready for any size project. In addition to ready to buy materials we'll be able to easily process custom orders and serve the Western part of the state! Our space is currently a blank slate awaiting new fixtures and displays. Just think of all the reclaimed and urban wood we can fit in this space! More details about our Grand Opening coming soon! Sign up for our e-mail newsletter (at the bottom of this web page) to stay up to date with the latest news at Dakota Timber Co.